Montana cannabis activist groups are spending big in to get their issue on the November ballot. Different Montana cannabis activist groups are spending big in to get their issue on the November ballot, a task that requires thousands of signatures and has minimal time left to complete. One of the activist organizations looking to place a pro-cannabis measure on the ballot is Montana Citizens for I-182. The group is working to remove rollbacks to the state’s medical cannabis program that were instituted in February by the Montana Supreme Court. that limiting each state cannabis provider to three patients, and that instituting a state review upon any doctor who recommends the substance to over 25 patients. The court’s ruling limited each state cannabis provider to three patients and instituted a state review upon any doctor who recommends the substance to over 25 patients. The group is funded by the Montana Cannabis Industry Association (MCIA). Greg Zuckert, an MCIA spokesperson, is confident that the group will gather the requisite number of signatures to have the issue appear on the ballot. It (MCIA) was formed to support the lawsuit, and I don’t think it ever took the shape of a normal trade association, which is where we now want to go. The other pro-cannabis group working for ballot access is Cycling for Sensible Drug Policy. The initiative looks to make recreational cannabis fully available statewide. According to the group’s founder, Anthony Varriano, the group is still short of the requisite number of signatures to appear on the November ballot and faces an uphill climb in obtaining the magic number. Not all of the organizations collecting signatures are looking to broaden Montanans’ cannabis access. Safe Montana is looking to rein in the state’s medical cannabis program. The group has run a statewide campaign to collect enough signatures to allow its initiative –Initiative No. 176, which would bring the state’s cannabis laws in line with the federal ban on cannabis’ possession and use– a place on the November ballot. The state currently serves over 13,000 registered medical cannabis patients. According to Safe Montana founder Steve Zabawa, the number of patients under his group’s initiative would be scaled down to around 1,400 patients. We estimate with Safe Montana, that’s about all the stage 3 and stage 4 cancer patients that are out there, (and those) that have epilepsy or any of the type of things medical marijuana might be working on… So we believe that there’s enough medicine out there to take care of the people. 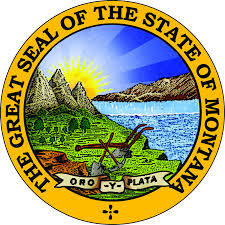 The Montana Department of Public Health and Human Services has stated previously that it is concerned about the prospect of the state’s patients losing access to what it calls “effective treatment” under Montana law. Do you think Montana should expand or curtail the access its medical patients have to cannabis? Tell us why on social media or in the comments below.